Strategic and operational decisions related to financial and investment activities must be preceded by thorough analysis of the competitive environment and the condition of the company itself. Whether you’re looking to acquire or be acquired, PMR Consulting supports you in this process so you make decisions confidently, and backed by rock-solid market intelligence. When entering new markets, should we start as green field or brown field? When looking for financial support, which is better: strategic or financial investor? Is the company we want to acquire well managed and suited to our objectives? PMR provides support for clients aspiring to enter new markets or strengthen their position in those markets where they are already present. Sometimes this is through organic development, sometimes, where clients wish to accelerate the growth process, this is through the acquisition of other companies. 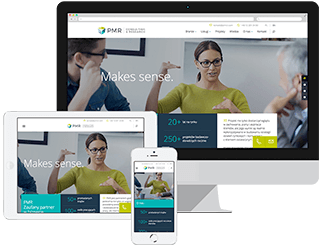 PMR helps clients on both sides of the transaction, either helping buyers realise their acquisition plans (buy-side) or helping those companies looking for backing to find suitable investors (sell-side). Importantly, though, we never work on both sides of the same transaction. We also help our clients with transaction financing aspects to ensure feasible and reasonable breakouts between equity, mezzanine and debt financing. Backed by our extensive knowledge of local markets, we are able to provide clients looking to acquire with information on potentially suitable targets, including details of how these companies address our client’s objectives. We provide Commercial Due Diligence services and insight on potential return versus potential risk. Depending on your needs and objectives, we can either help you acquire companies or identify investors ready to provide financial or strategic backing to your business. Our multinational team of consultants have deep and extensive knowledge of local CEE, SEE and CIS markets. Our experience and expertise has been amassed by working with clients from a wide and diverse range of sectors and industries. All of this knowledge, experience and expertise is harnessed to provide our clients with an in-depth understanding of the business and economic moves taking place in the CEE, SEE and CIS regions. Depending on the market demand, we support our clients both ends: buyers in acquisition plans and vendors while looking for investors.